Traditionally, rice is introduced as baby's first food. This could be any of the commercially available packaged baby cereal or home made. Once the baby is comfortable accepting food from a spoon, it is time to introduce other flavors. Fruits and vegetables are the next natural step in this. I introduced vegetables before fruits. This is purely a personal choice. The enzymes in fruits could tax a baby's delicate digestive system. For this reason, it is advisable to cook all fruits thoroughly until the baby is 8-9 months. Overripe bananas need not be cooked. With a fruit peeler, peel the peach. Cut the fruit in two and remove the stone/ pit. Chop into 1 inch cubes. 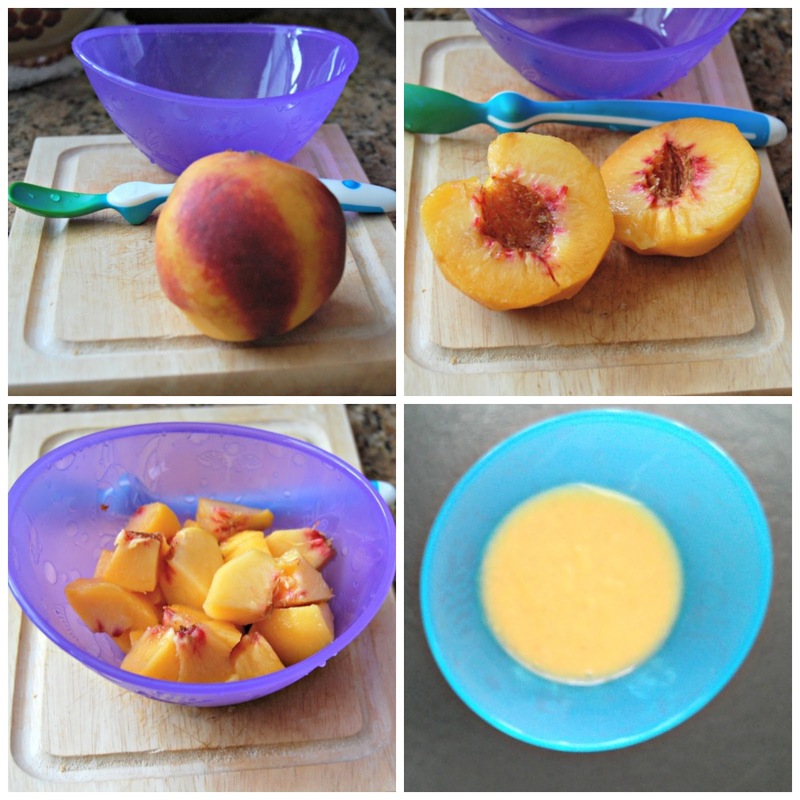 Steam in a microwave oven or stove top in just enough water to cover the fruit. When the fruit is fork tender, remove from fire. When cool, use a blender , baby food mill or mini food processor to puree the fruit. You could use the same water to dilute the puree, if needed. 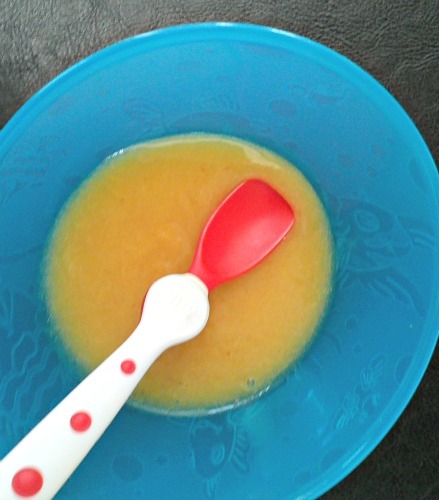 Based on the baby's preference, add desired quantity of cereal or formula, to thicken the puree. This puree can be refrigerated or frozen. Delicious baby food. I need to try to give to my baby.